A Wi-Fi hotspot can be a godsend for a traveler in need of Internet access, but finding one can sometimes be a challenge. Mobile broadband networks run by major carriers are more ubiquitous, but they can be a hassle to install and use, and adapters aren't available for many devices that support Wi-Fi. 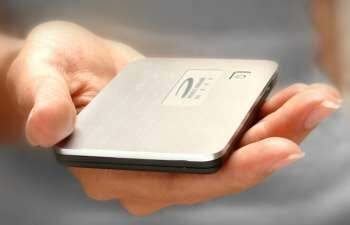 So Novatel Wireless has come up with MiFi, a line of gadgets that will let you create a Wi-Fi hotspot using a mobile broadband network. Novatel describes MiFi devices as "intelligent mobile hotspots," but they are basically smart routers, the size of a couple of stacked credit cards, that connect to the Internet via a high-speed mobile phone network (such as the EVDO networks operated by Sprint and Verizon Wireless, or the UMTS/HSDPA networks operated by AT&T Wireless and T-Mobile). The company says a MiFi's internal rechargeable battery will support up to 40 hours of standby time and 4 hours of actual use without power (for example, in a moving vehicle). Of course, if all you wanted to do was connect a single notebook to a broadband network, you could simply get a broadband notebook card or USB adapter. But with a MiFi you wouldn't need to bother with the software these usually require-you could simply create a Wi-Fi profile in your operating system. You could also connect multiple devices, or a team of travelers. MiFi devices also can support broadband applications built by carriers or others. A MiFi might, for example, be configured to automatically sync e-mail for business travelers as they walk through airports. Novatel will distribute MiFi devices through the carriers that will provision their broadband access. The devices will be available in early 2009, Novatel says. Carriers will determine pricing, but Novatel estimates the devices will cost under $200 before any carrier subsidies.